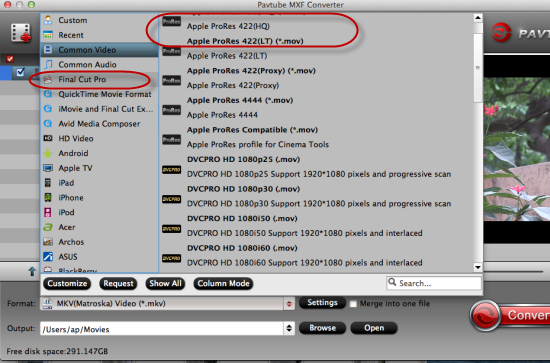 Are you also seeking the best way to convert the DVCPRO P2 MXF videos to FCP 7/X for editing? Since the FCP has its’ own best video files formats or sometimes because of the special P2 file structure, it is normal to meet some troubles during the importing progress. For example, we may get the audio missed errors etc. So in order to avoid the related issues, we are going to convert the DVCPRO P2 MXF to ProRes MOV, which we all think as the best one for FCP. Panasonic P2 HD series: AJ-HPX3700, AJ-HPX2700, AJ-HPX3100, AJ-HPX2100, AJ-HPX2000, AG-3DP1, AG-HPX500 series, AG-HPX370 series, AG-HPX250, AG-HVX170. 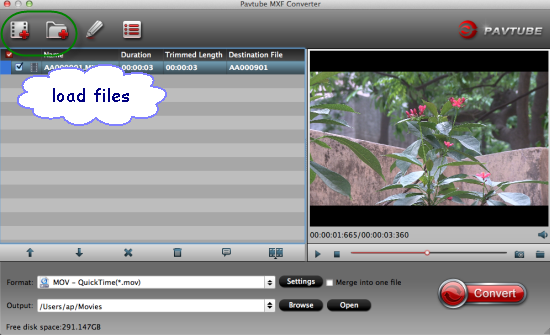 In order to convert Panasonic DVCPRO HD P2 MXF files into best format for FCP on Mac, you may like to give a shpt to this powerful Pavtube MXF Converter for Mac. (iMixMXF to preserve the multi-track audios)With intuitive interface, you can easily and fast convert Panasonic DVCPRO HD P2 MXF to ProRes 422 HQ for FCP on Mac using this professional MXF to ProRes Converter. And the latest Mac OS X Yosemite is also supported. 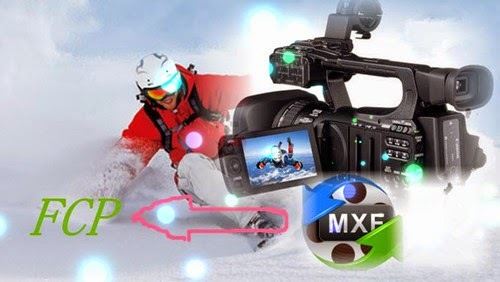 What’s more, we can transcode the P2 MXF to other suitable ones for editing in Avid MC or playback on TV, etc. Notes: It can decode and encode the H.265/HEVC files after upgraded to the latest version 4.8.5.1. Do you wanna enjoy the higher definition? Step 1.Click the ‘Add Video’ button at the top right of the main interface. In the open window, select the MXF video file from Panasonic P2 card. You can also transfer P2 MXF files from your camcorder to Mac Hard Drive before import. Step 2. Click on the ‘Format’ bar and get the dropdown menu, then move your pointer to choose ‘Final Cut Pro> Apple PreRes 422’ as the output format. Finally, go back to the main interface to tap the big button ‘Convert’ to start the conversion. Just follow this way and no needs to wait a long time, we are glad to import the DVCPRO P2 MXF files to FCP 7/X after transferring as usual.